MEMBERS and associates of the World Communication Forum (WCF) usually arrive from all over the world to gather in Davos, Switzerland, every year in March. This year, however, the organisers decided to stage this annual gathering closer to United Nations headquarters, some of whose organisations were well represented. In addition, the EU Council and NATO were also represented by corporate affairs and public diplomacy officials who shared some interesting insights about how their respective organisations use communications to tackle regional and global issues while navigating our ever-evolving world order. A South Sudanese lady employed by the United Nations Human Rights Commission in Geneva – a direct victim of the ongoing war in her country – discussed the unending conflict in South Sudan, as well as its implications in a world that seems to be increasingly turned inwards, away from the problems affecting others. Even the EU, as indicated by the speaker from the EU Council, is busy dealing with its own internal integration issues, especially following the bruising Brexit. Some fear a possible Frexit if France’s Marine le Pen were to become president. Interestingly, there was a much bigger and more visible US delegation than in previous WCF years. Most delegates agreed that the world we share is going through a rather strange kind of turbulence which is national, regional, inter-regional and global in nature. Following recent elections some powerful nations, led by the US with Donald Trump at its helm, have begun to look inward, almost seeming to be taking their focus away from regional and global collaboration to domestic, even nationalist, priorities. Some of you will hasten to argue that there is nothing new here, that nations have always placed their own interests ahead of others. After all, it was Britain’s Lord Palmerston who, decades ago, famously said that “England has no eternal friends, England has no perpetual enemies, England has only eternal and perpetual interests”. In Moscow I asked a number of people, some already known to me and others I had just met, to share their views about President Vladimir Putin’s leadership of the country. They all agreed he is a strong leader which the country needs as it faces hostility from other global powers, especially in the climate of the ongoing sanctions regime. 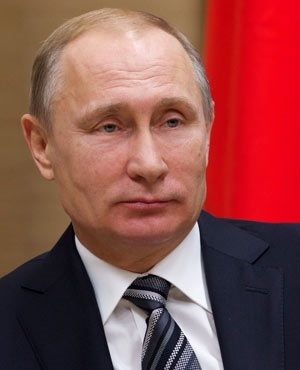 Putin, they also agree, represents a strong brand fit as president of Russia, as he represents everything that is Russian. With him at the helm, many believe the country is safe and so are its institutions. People have a sense of where he is going and they’re largely behind him. They can go to sleep at night with the knowledge that he will not undermine their country’s institutions. With a popularity score of up to 80%, he will be remembered for making Russia strong again, and for strengthening the army and making it prestigious again to be in the Russian military. He will also be remembered for reclaiming Russia’s global prestige from possible oblivion. Some also believe that his facilitation of the Crimea back into the Russian fold will guarantee him a respected place in the country’s history books. In the second and last mandate of his five-year term, Armenian President Serzh Sargsyan is not a very popular man, at least not according to several locals that I spoke to. Not a single person in the random sample I managed to pull aside to ask questions about him and his leadership style had anything positive to say about him. Only one of them was willing to give him a mark above three out of ten and, in fact, one lady even told me that while she feels proud to be Armenian, she’s not proud to be a citizen of her country under his leadership. A gentleman ventured to say that Sargsyan was not a proper brand fit for the Armenia he would like to live in. Soon after the assassination of Chris Hani in 1993, blood pressure levels rose exponentially in the country, drawing South Africa closer to what would have been an indiscriminate bloodbath against innocent people driven by black anger had there not been the right kind of leadership at the time. In those days, F.W. de Klerk was still president, but only a de jure one. The de facto president was Nelson Mandela; he who, only about a year earlier, had stood stood up to pull South Africa back following the Boipatong massacre. He did it again following the assassination of Chris Hani when he reminded us gently, but with firm empathy, of the need to focus on the bigger picture. He told the nation that painful as it was – and this pain was also written on his face – even the assassination of Chris Hani, arguably the next most popular leader after him at the time, should not make us throw away the dream of rebuilding a better, more inclusive, South Africa. The nation believed him in these and on many other occasions when he stood up as leader in times of need and told angry masses to put their spears down, calm down, or embrace their former enemies. Country brands, like brands in other categories, cannot shine without strong, credible, value-driven leaders. A discredited leader who lacks consistency in his or her own conduct will struggle to get others to follow him or her, especially if that leader is known to place his own interests ahead of those of the country when it needs him most. Discredited leaders cannot stand up when their countries need them in times of crisis and successfully rally people behind them. In many cases, they’re too busy looking over their shoulders, either imagining enemies all around them or frantically trying to divert public attention from the sins they have committed against the country. Because countries are also brands, they have to think very carefully before they choose leaders to embody their aspirations and everything else they want to stand for, at home and abroad.